Allison Jaromin is an Assistant Engineer providing support on traffic engineering and transportation planning services. 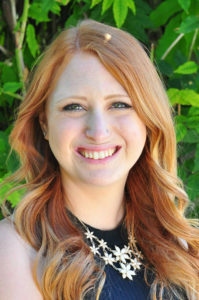 Allison Jaromin graduated from the University of Nevada, Reno in 2017 with a B.S. in Civil Engineering and a focus in Transportation Engineering, along with a minor in Business Administration. She gained valuable traffic engineering and transportation planning experience working as an intern for W-Trans for three summers and during winter breaks. She also interned at BKF Engineers where she applied her AutoCAD skills to an assortment of civil engineering projects. Allison prepared numerous traffic impact studies during her internships, and has gained traffic signal and traffic control design experience through her early assignments since joining W-Trans as a full-time staff member.